The Philadelphia 76ers are a pretty gutsy group, apparently. 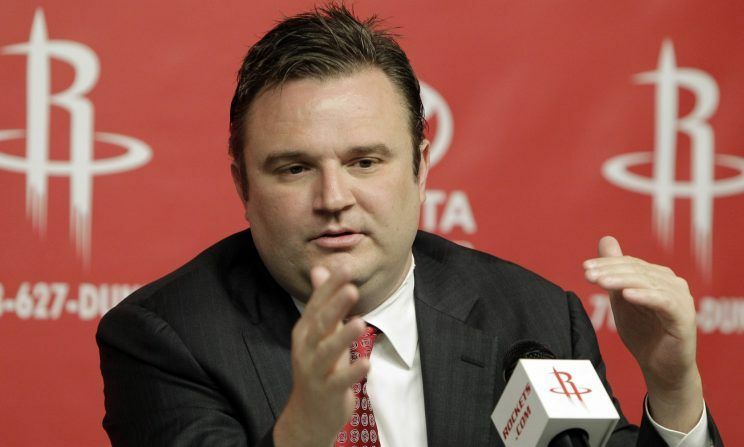 As they continue to search for new front-office leadership in the aftermath of Bryan Colangelo’s departure, they’ve reportedly already been rebuffed by one of their targets…because he’s currently employed….by the Houston Rockets…and his name is Daryl Morey. The Philadelphia 76ers have been rebuffed in an attempt to hire Houston’s Daryl Morey as their new general manager, according to two people familiar with the Sixers’ pursuit. The Sixers had strong interest in hiring Morey to replace the ousted Bryan Colangelo, but Morey could not be lured away from the franchise with which he has spent the past 12 seasons, according to the people, who requested anonymity because they were not authorized to speak publicly about the situation. This is quite the leap of faith by Sixers ownership. It’s also a pretty big display of ignorance. The Sixers ran Morey’s protege, Sam Hinkie, out of town not too long ago. Did they really think they’d be able to turn around and hire him without any sort of issue whatsoever? Ignore the Hinkie thing, and this is still weird. Morey just signed an extension with the Rockets roughly one year ago. Now wouldn’t be the time try extracting him from Houston—not after the team he just built arguably came one Chris Paul hamstring injury away from dethroning the Golden State Warriors. Look, organizations are required to do their due diligence. Maybe the Sixers thought Morey was disenchanted with the Rockets’ new ownership regime. Plenty of people have theorized the team allowing Trevor Ariza and Luc Mbah a Moute to walk signals some sort of a spending cap. Clint Capela’s contractual dance has often been spun as the same thing. But, like, this doesn’t feel like the Sixers being opportunistic. Given their situation, and how they treated Hinkie on his way out, it seems like a straight-up brain fart.